Vibrant solo-performer for public and private events: weddings (incl. mass), reunions, birthday parties, backyard parties, charities, corporate functions, and more. Franki Jo provides a delightful mix of modern and oldies classics from Elvis, Righteous Bros, Cyndi Lauper, Johnny Cash, Journey, Dean Martin, Don Ho, and many more. Between songs, Franki Jo bonds with her audience and people melt to her genuine charm. Because she's only 15, you won't be able to take your eyes off of Franki Jo as she flawlessly belts out many of your favorite numbers. We had Franki sing the national anthem at the first annual Green Bay Packers Salute to Service Tournament in the Titletown District next to Lambeau Field. She was on time and did an excellent job singing the anthem. She has an amazing voice and I would highly recommend her to anyone! Franki provided opening musical entertainment for a large fundraising event leading up to NFL Hall of Fame Quaterbacks Brett Favre and Steve Young taking the stage. She quickly drew the attention of over 530 adult guests in attendance as an amazing and versatile performer. She performed a wide selection of songs from different eras and our guests were so impressed with her voice, talent on the piano and performance. She quickly relates to the audience and on one occasion asked for a request from the audience and she was able to play a song from that performer. She also performed an outstanding rendition of the national anthem and on little notice we asked her to perform a musical invocation with the song, "Great is Thy Faithfulness". I was so impressed with how she gave the audience an introduction to the invocation and instructions how to sing along. The poise, talent and maturity she displays as a young person is extraordinary. I would highly recommend Franki! I first met Franki when she performed at the funeral of a relative. Her musical talent and professionalism impressed me greatly. When it was time to find a musician for my wedding just a few months later, Franki was the first person to come to mind. My husband and I knew we wanted live music during our cocktail hour and before our ceremony. Naturally, Franki excelled at both. She used the piano and A/V equipment our church had for our ceremony and she provided her own equipment for our cocktail hour. We intended for Franki to play outdoors on the patio at our venue for cocktail hour but we had rain and she was able to quickly adjust to setting up and playing in a much smaller, indoor space. She sang beautifully (my personal favorite is her rendition of Hallelujah) and we received so many compliments on having Franki there to provide entertainment for our guests. Franki’s parents accompanied her to the church and cocktail hour and they were a welcome addition. Franki’s dad even videotaped our ceremony and provided us with a copy which was a pleasant and unexpected surprise. Franki is not only talented, but gracious and kind. I would highly recommend Franki for your wedding and other music needs. Franki made scheduling and coordinating easy and the residents at our community found her to be delightful. Watch for me on American Idol in the Spring!! Franki was the highlight of our wedding ceremony. She was really flexible and helpful with choosing songs. Our pastor was very last minute in getting our ceremony together and Franki learned a new song for me just one week before the wedding and did a great job with it! People were shocked when they first saw Franki and realized that it was live music because she sounded so great. There was a lot about our ceremony that I would have changed but the one thing I would have kept the same is having Franki. I highly recommend her and do believe that she was the highlight of our wedding ceremony. Franki is a delightful talented vocalist. We've had her as an entertainer multiple times at our business during events and have always been very happy with her performance. Franki is highly professional, provides an accommodating play list and captures a crowd. 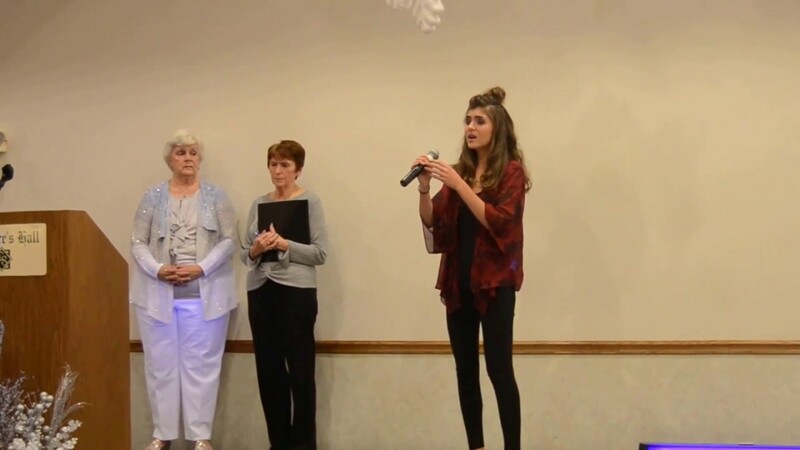 Franki provided entertainment at the Ascension Mercy Hospital Volunteer Recognition event recently. I have received nothing but rave reviews from those in attendance. She was professional and easy to work with. She sang a variety of songs for the varied age of the audience from age 16 - late 80's. It was a joy and pleasure to work with Franki on our hospital's Ash Wednesday worship service. She brought joy and enthusiasm for the opportunity to share music, as well as a professional attitude and spirit. Hopefully, we will have another opportunity to work with her. Franki is a delightful young lady that performed beautifully at my dad's funeral. She sang every song with compassion, and her piano playing was flawless. We're so happy we had the opportunity to meet you Franki. You brought joy to many hearts on a difficult day. Please research Jerald Gehling to understand why I was so honored to perform on His blessed day. Franki played the piano and sang at my wedding ceremony. She was very flexible and was able to meet ahead of time to coordinate everything. She understood the flow of a church wedding and did a great job of appropriately using their equipment. She has quite a bank of songs that she is able to sing and did a great job of picking appropriate songs for the occasion. On top of all of that she has an amazing voice!! We would definitely recommend her! We have hosted Franki multiple times to entertain during events on a business level. Franki always comes well prepared, is highly professional, accommodating to special requests, and is a talented vocalist and pianist. Franki is reliable person and mature beyond her years. We highly recommend her on a business or personal basis as an entertainer. A Rare & Accomplished Talent! 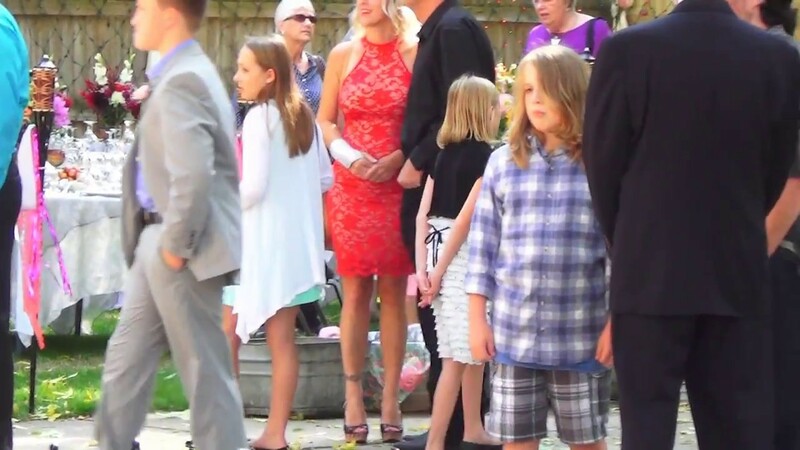 Franki Moscato sang and played piano at my mother's funeral service. The songs she chose to perform were perfect for the occasion, and her voice was clear and so incredibly beautiful. Franki's performance was positively inspirational, moving my entire family and many of our guests to tears with the sheer power of her performance -- and that was before the minister even started the sermon! After the service ended, nearly all our guests were full of praise for her performance and wanted to know who she was. In hindsight, I don't remember very much of what was spoken in the service - but I do remember Franki's songs! I think Franki Moscato is a rare, accomplished talent, and I am grateful and thankful that she gave me something valuable to remember about my mom's service. I would gladly ask Franki to perform for any type of future event I sponsored, and I would highly recommend her to anyone else, as well. Incredibly professional and talented performer! I worked with Franki when she was cast in the film I directed, "So We Bowl". She was always on time and prepared for the scenes each day. She was invested in the work and was happy to give feedback as well as take feedback constructively. She had a very energetic and fun attitude on set which made it easy to get along with other cast members. While she is a talented performer, her work ethic is just as strong, which was great to see at her age! I recommend her for any youth or performance needs! Great worker and delightful person! Franki is a very dedicated performer. She is lovely to work with and very professional. I would definitely cast her again. Ms Rabideau took a chance on me. 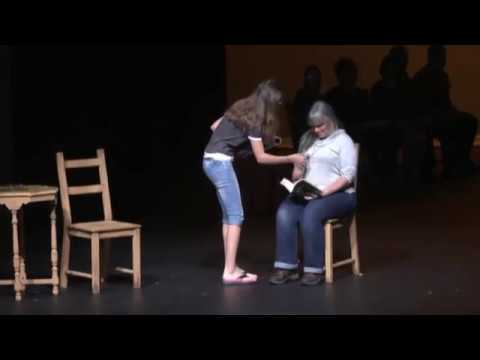 This was my first opportunity on stage with experienced, adult, professional actors. My poor parents wanted me to tell them how my audition went, but I honestly couldn't remember.? It was my first plight of character "blackout". I was in tears when I learned that she cast me. God bless you. Franki started with the Omro American Legion at an early age. We were in need of someone to sing the National Anthem at High Ground in Neilsville. She wowed everyone with a strong confident voice. When I realized the talent there, I asked her to do a presentation on Veterans Day, at her school, that the Legion does every year. She sang to a video she did that had all of us Vets crying. If you are looking for a self confident, great singer. Franki is your girl. Sweet, humble and reliable. You can not go wrong. Franki delighted our audience of about 75 people, of all ages, with an entertaining hour of musical genius at my church St. Paul's United Church of Christ. Her wit, amazing keyboard playing, and beautiful voice kept us all enthralled. The hour went much too fast. She is truly gifted in the art of performing. I have been following this amazing young lady for many years. It has been a pleasure to watch her grow as a performer as well as an individual. She is talented beyond her years. Recently I asked her to sing at an American Legion Dinner. She belted out an incredible accapella rendition of the National Anthem that left most of us in complete disbelief. It is amazing how she has the ability to allow her personality to touch everyone in the room through her voice, oh and that contagious smile....it just makes you happy. Franki Jo sings like an angel. Franki sang for our annual corn roast in August. She did 2 sets of about a half hour each. EVERYONE was amazed by her talents!! She is also a very kind & humble young lady. We all enjoyed her piano playing & her beautiful voice as well. We would & have highly recommended her for any event. Very powerful voice!! My name is Rodney Hart and I am a musician, writer and co-owner of Second String Music in Quincy, Illinois. In the summers I travel and work for the Gus Macker basketball tournament. Oshkosh, Wisconsin is one of my favorite stops on the Macker. This past August we were doing games on our Dream Court when I looked over at the bandshell and saw this young girl playing keyboards and singing like an angel. Her songs were incredible and warmed this old rock and roller’s heart! I couldn’t believe somebody so young was playing so many great songs, one right after the other. If you are having an event in the Oshkosh area hire her now! Next year I might just bring my guitar and play a few songs with Franki Jo - she ROCKS! Franki will provide up to four (4) hours of entertainment for your event. Beyond her astounding performance, people will melt to her charm and your audience will never forget the experience. Franki Moscato (born January 26,2002) is an American singer/songwriter and actress. At 15 years old, she performs solo concerts with only her mic and keyboard, and leaves her audiences thunderstruck. Her vocals move people of all ages with a creative mix of brilliantly-composed oldies and inspirational selections. 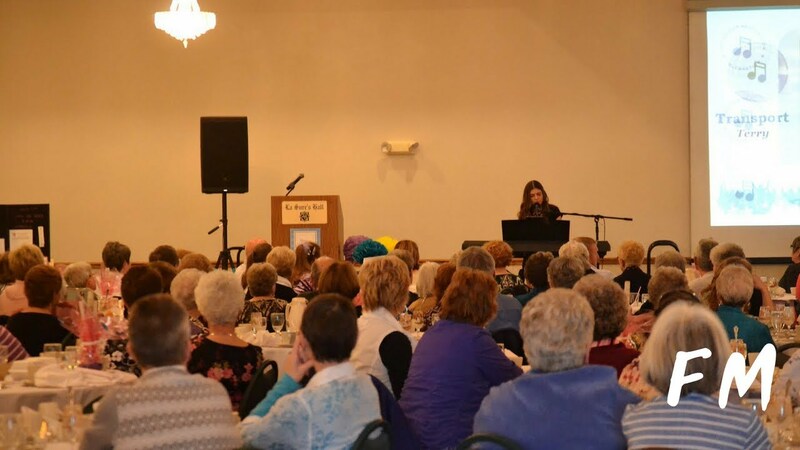 People melt to her kindness and professional poise as she belts out legendary numbers from Dean Martin, Michael Jackson, Adele, Whitney Houston, The Righteous Brothers, Johnny Cash, The Eagles, Billy Joel, and many other renowned artists. Moscato’s career dates back to grade school when she first polished her artistry and shook her (Omro) school district with heartrending pieces that honored war veterans and their families. At 11 years old she sang the national Anthem for the Green Bay Packers while the community stood proud in support of her state-recognized patriotism. 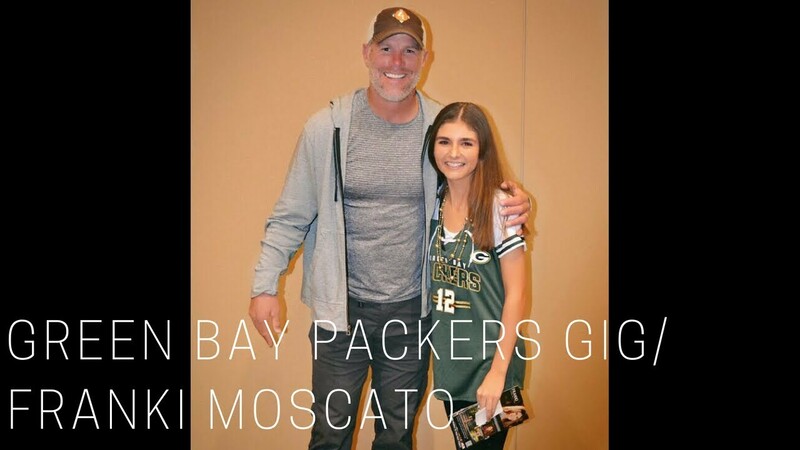 Moscato went on to sing for Governor Walker, and was twice invited to open Miss Wisconsin Pageants. In that mix, she won the valley’s biggest charity talent contest—Bright Stars Face Off. She has been cast in a number of films including an educational human trafficking collection that will soon be shared with students in schools across the country. Most recently Moscato starred in a music film that centers on a song she composed and sings about her own experience of being bullied. In July of 2017, the film won Best Music Video at the London Independent Film Awards. You can find her performing at many private and public gatherings around the state. To learn more about Wisconsin’s teen icon, download her app “FrankiJo”. Franki Jo has access to a full band if you prefer that. She partners with the most talented musicians in the state of Wisconsin. Franki Jo is 15 years old. There isn't much that she hasn't seen or heard, but her dad will be paying close attention from a distance to make sure that she stays safe. I like to also mix in some moving gospel numbers and have those ready for weddings and religious affairs. I am influenced most by older artists and their work and try to play to that era of time. I particularly enjoy that music myself too. I consider my work as a "show" versus a performance because I entertain in between songs collaborate stories, thoughts, and ideas about the particular event with my audience. A stage is nice, but she brings one just in case. 25 AMP electricity or two (2) separate 15 AMP circuits. Tent if outdoors is nice, but she brings one just in case.